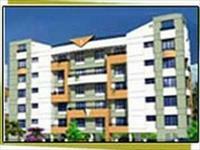 Chandrarang Classic presents 1 BHK apartments in Keshav Nagar, Pune. Chandrarang Classic gives a semi furnished 1 BHK apartments for living. The project fulfills all the need of the customer. It gives a calm and peaceful environment for living. Have a good knowledge of Chandrarang Classic? Share it and become a Project expert.